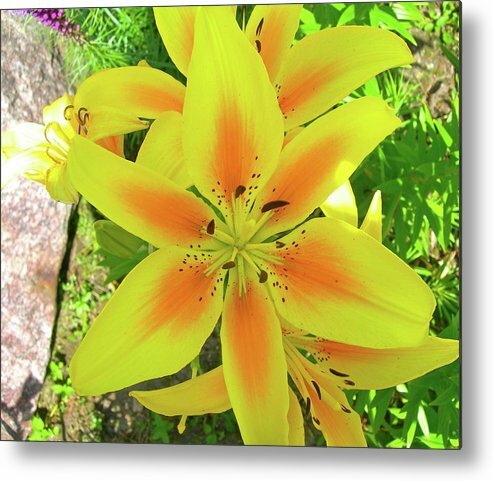 Beautiful Dreamer by Randy Rosenberger - 8.000" x 6.625"
Beautiful Dreamer metal print by Randy Rosenberger. Bring your artwork to life with the stylish lines and added depth of a metal print. Your image gets printed directly onto a sheet of 1/16" thick aluminum. The aluminum sheet is offset from the wall by a 3/4" thick wooden frame which is attached to the back. The high gloss of the aluminum sheet complements the rich colors of any image to produce stunning results. 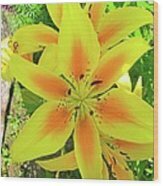 That is what I started with is floral macros and have very seldom varied from that fascination, Pamela, even though I do "step out of the box" on occasion! Thanks Jack, as I truly love natural color and striking displays of colors, for my special hit of "eye candy"! Thanks a bunch, Aimee, as I love striking colors in floral shows, and this "eye candy" really caught my eye. Thanks Meryl, as that is the song that hit me when viewing this shot. so I appreciate your insight into this one! Anand, thank you sooooooooo much for your unique and welcomed and inspirational comment! I liked it a whole bunch! You made my day! Thanks so very much, Anne-Elizabeth, for your kind and gracious comment of this image and others. You are a true inspiration to so many of us, and your works are awesome! And, I DID "Feel the Earth Move Under My Feet" when I viewed your work! Thanks for sharing your hospitality, grace, expertise, and friendship with us all, as it is so welcomed and much appreciated! Forever, Elvis! Randy, This is another of your many fine images on FAA. F/V Thanks for comments about my collage- "I Feel the Earth Move Under My Feet". Thanks much, Kathy, and am very sorry for late reply, but fine tuning and catching up a bit. I always enjoy hearing from you and love your input, as I respect your prowess as an artist and your critiques are important to me. 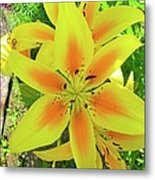 Thanks so much, Bruce, as I consider you the "Lily King" of photographs as you have so many beautiful ones! Appreciate your compliment, and coming from the "king", it means a lot! 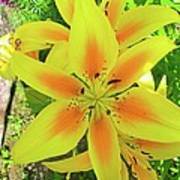 Wow, I have never seen such bright and vivid colds on a lily. Great capture Randy! Thanks so much for you wonderful compliments, as it does put a smile upon my face, as if there's nothing wrong! Melanie, anytime one of my photos can put a smile on your face, it was well worth the effort in capturing it! Glad you enjoyed this beauty! Thanks for your vote of confidence, as I am always appreciative of your opinions! Thanks, Sue for you wonderful compliment! Your flowers and descriptions always seem to put a much needed smile on my face, Randy!! Love this cheerful dreamer!! So bright and sunny, Randy! Nice find. This was taken on the golf course just northeast of Iola, WI, and I haven't seen such a brilliant contrast between the yellow outer and the orange ray center before.I loved this photo op, and with the boulders as background, it beaconed me to take this shot!